TRI Roofing has been in the roof business for over 20 years serving the Research Triangle region with a love for all kinds of roofs: from your basic 3-tab asphalt shingles all the way to the fanciest shaker design. In fact, you might say we have a passion for them! Everyone deserves a good roof over their heads to protect those they love in addition to the asset they work so hard for. In other words: you simply can’t afford not to have one. Besides being the single most important protective aspect of your home or business, a well-designed roof can add so much value. As a matter of fact a recent study concluded that a new roof ranks up there with a full kitchen remodel, adding an average of 75% of the value back into your home! 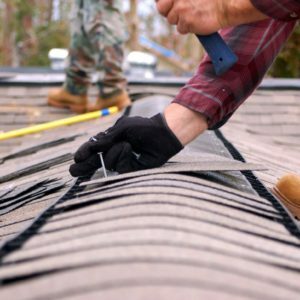 Whether you’re a home owner or a business owner in Central Carolina’s Triangle, consider TRI Roofing as your full service local roofing contractor. If you’re looking for a Raleigh, Durham or Chapel Hill Roofing company, TRI is proud to be locally owned and operated we strive to deliver the best roofing service possible. Time is money, and we hate wasting it - especially yours. TRI Roofing strives for accurate estimates on times and pricing, give us a call today to get yours free! TRI Roofing is made comprised of certified and experienced professional roofers and are fully insured to protect your home and assets. We have access to a wide range of premium materials and always maintain experienced supervisors on site for quality control. Make sure to fill out the form as thoroughly as possible (pictures are GREAT), so we can get back to you with the most accurate quote for price and time. If you’re a homeowner in the market looking for roofers in Raleigh, Durham or Chapel Hill or require inspection services, consider TRI Roofing as your primary source for design, contract work and all-around know-how on all residential roof designs. Whether it’s Asphalt Shingles, Metal, Slate or Flat Rubber roofs, TRI Roofing has the experienced staff to seamlessly guide you from the decision process all the way through a successful installation. 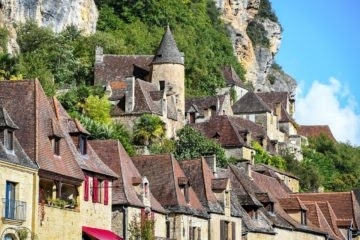 For a business owner, your roof takes on a very specific role. As the primary barrier between the elements and your valuable assets, a good roofing system should be considered an essential part of your facility. If you’re a business searching for a Raleigh, Chapel Hill or Durham Roofing Company to cover a new building design or perhaps a roof replacement on an existing facility, consider TRI Roofing. TRI has the expertise to not only install a roof, but to advise on the best application for your particular business. 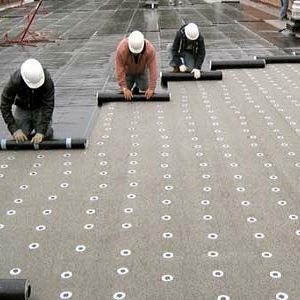 We are experts in the application of all low pitch and flat roof systems, from Thermoplastic polyolefin (TPO) roofing membranes, to environmentally friendly Built-Up Roofing (BUR) -you can trust TRI for the highest quality contracting services. North Carolina’s weather can be unpredictable, especially in the spring and summer months. When your roof is damaged – time is of the essence. Our trained roofers will quickly evaluate the damage, and let you know how much repairs will cost, and how quickly they can be completed. 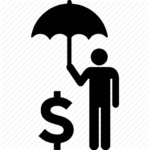 Your time and money are valuable, that’s why we make the estimation on time and costs and easy and straightforward as possible. We guarantee we’ll use only the best quality and value materials and strive for the most accurate estimates in getting your project. Over the years we’ve consistently found that dealing with informed customers lead to the best service, expectations and quality outcomes. At TRI, we feel that it’s in everyone’s best interest to make sure that our customers are indeed informed customers. Thanks so much for help in replacing the roof on our mountain home in Brevard, NC! After years of neglect we thought we were going to have to demolish this historic home. TRI walked us through the rehabilitation and made us feel comfortable with the process. The roof looks great and doesn’t take a thing from the rustic look. What I thought was a minor leak, turned out to be a major one. The guys at TRI Roofing showed me the extensive damage and walked me through the steps for a quick repair. Since this was a leaky pipe, it was covered by insurance and TRI was extremely helpful in documenting the repair. Thanks again!!! 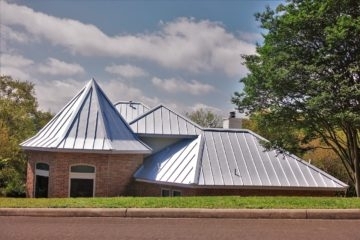 We'd always wanted a metal roof, and thanks to George at Roofing TRI, my wife and I were able to make it happen at a price that fit into our fixed budget. Hey guys! Thanks for a wonderful job on the flat roof above our garage...It was a real mess and I really appreciate you fixing some rotted wood for free. Let me know if you need me to recommend. THANK YOU! Solid group of guys. Estimate for an architectural asphalt shingle roof was accurate even though it took a tad longer than expected. Also, I did have to remind them to clean up. Other then that, I appreciated their service and our roof looks really nice. We like roofing, and we like to write about. 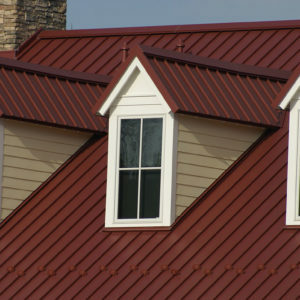 Check out our blog posts, pages and resources for everything you need to know about roofs of all shapes and sizes. 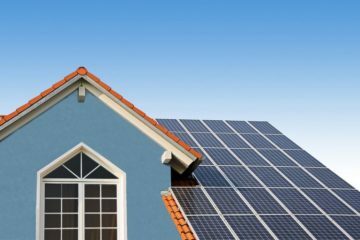 The Solar Roof by Tesla is finally making its way into the homes of the consumers. Ever since the reveal of this product about two years ago, people have been wondering whether the Solar Roof is actually a worthy investment.